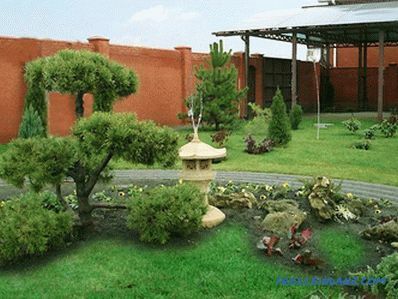 Landscape design is a series of activities aimed at improving the territory. Using natural ingredients, you make changes to the appearance of the site, thereby creating a unique cozy atmosphere. To achieve this goal, you should allocate some time to acquire some skills. It is necessary to tune in to the big work, because the design of the landscape requires effort. Should you think about which area you have? That is, what kind of soil in the territory? How much sunlight does it get during the day? 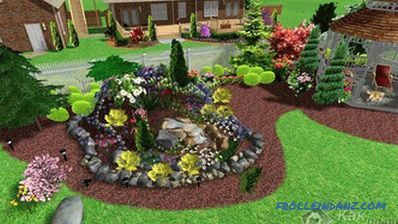 Based on this, you can determine the type of landscaping, lighting and decoration. In addition, it is important to determine the style. Which is closer to you - Japanese, English, Chinese, and maybe French? 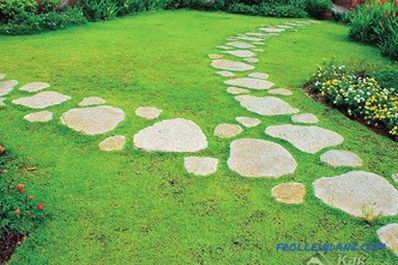 The modern approach to the design of the landscape gives complete freedom of your imagination. To create even the smallest landscape composition, a project is needed, but if we are talking about arranging an entire site, then this is the main prerequisite. The project helps to competently and beautifully dispose of the adjacent territory to the house. 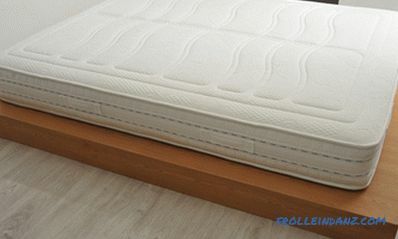 It will help you to reveal the plasticity of the relief, to emphasize the opening beautiful views, to hide unwanted objects. 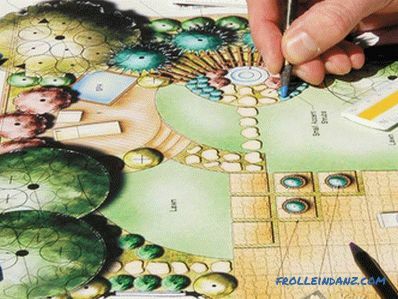 In the design process, it is important to maintain a balance between the beauty and the benefits of the landscape. A well-thought-out project will help you to avoid erroneous decisions when working on the arrangement of the site. Thanks to the layout of the different elements, the perception of the landscape is formed. 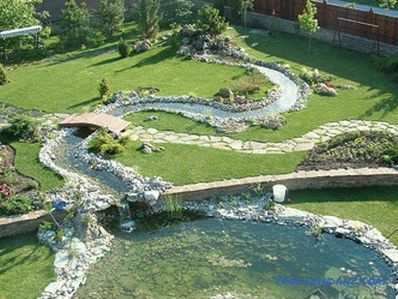 If you want to focus on the intended part of the landscape, then it is important to create something interesting near it, for example, an arch or a reservoir, perhaps a tree-shrub curtain wall. For all this, you need to take care of the project, and you can do it yourself. Indispensable helpers in the design can be special computer programs that can be downloaded free of charge on the Internet. Thus, with the help of the mouse and imagination, you can recreate a picture of your plot on the monitor and distribute it. For example, here you will break the lawn, and there you will build an arbor, then you will create an alpine slide, and there will be a bath. If you are not very good at working with 3D images, you can create a project on graph paper, where the scale will be 1: 100. To do this, you will need to transfer the plot plan to paper, after which you can proceed to zoning the area. Think about the location of outbuildings, such as a summer shower, a bathhouse, an arbor and others. Also determine where you will have a lawn, flower bed, garden, garden beds, etc. Schedule convenient routes around the territory. First, determine the main directions: from the gate to the house, from home to outbuildings and recreation areas. In the process of zoning the site, try to avoid straightness. Let the sidewalks and paths be winding. So, you will add aesthetics and naturalness of the landscape. 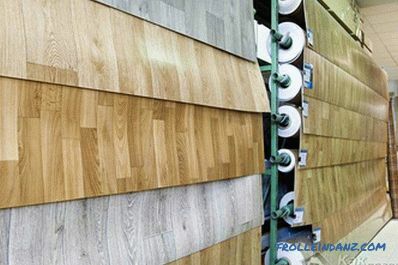 In addition, decide on the size and configuration of those places that will not change in the near future, it can be a garage, bath, pool, etc. From these places and make a start. 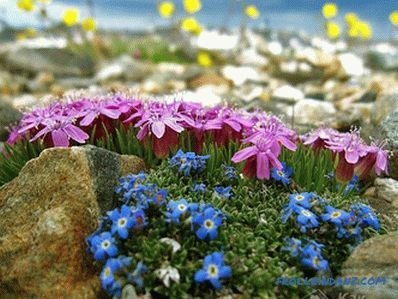 It is very important to take into account the peculiarities of the terrain and the relief available. If drainage ditches are required, you should determine their direction in advance. 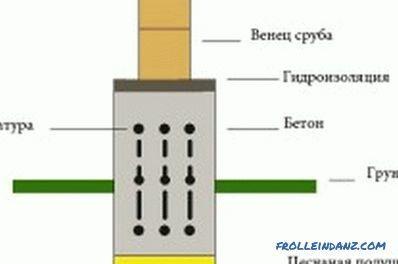 In addition, you should make a diagram of lighting and cable wiring. When the project is ready, and you begin to implement it, then when zoning the territory, use ordinary pegs and cord. Try to stick to the plan, which is on paper, as accurately as possible. When designing the landscape, keep in mind that your creation should attract the eye not only in the warm, but also in the cold season. Therefore, focus your attention on the structures of interesting forms, and not just those with high functionality, although this is undoubtedly very important. Remember that the landscape should not be overloaded, therefore there should not be much architectural structures. If during construction it is necessary to dig a foundation pit, then the resulting embankment can be cultivated by creating an alpine slide. 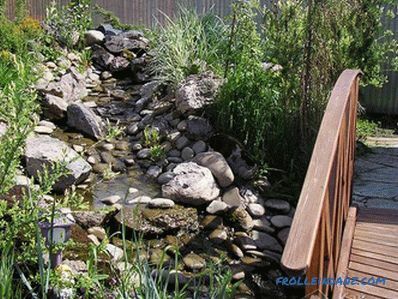 In the process of cleaning the area on your site may form a considerable pile of stones.Do not rush to get rid of them, because the stones can be used for the foundation of a gazebo, bath or barbecue, as well as design of rock garden or pond. In recreational areas it is very important to carry out artificial lighting. Therefore, in advance, take care of the cabling. If the illuminated area needs a light illumination, it is best to use solar-powered lamps, they do not require cable connections and are heated by sunlight. 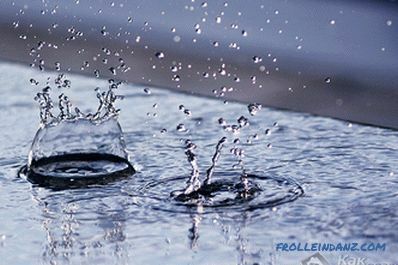 If you are planning a reservoir, then be sure to think over the water supply system. At this stage it is also necessary to build a drainage system. Upon completion of all these works, you can begin the long-awaited process - laying the paths, and then landscaping the site. There is nothing incomprehensible about laying garden paths. The easiest and cheapest option is to make a 5 cm indentation and lay the edge of the path with a stone. Simply, and the aesthetic appearance will already attract people. Another option is to pebble the base of the walkway. How to do it? Dig the base of the walkway with a depth of about 10 cm, and then cover it with a geotextile canvas, fasten the edges with a decorative fence or special tape. Fortified base pour gravel or pebbles. That's the whole process. 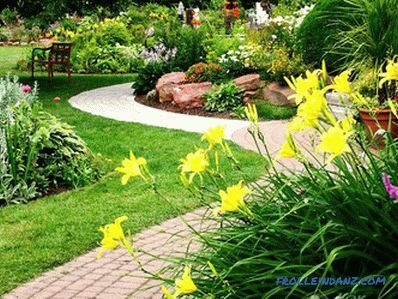 If you are able to cope with the previous tasks for the design of the landscape, then laying the garden path will not frighten you! In cases where the track will be subjected to loads, it is better to make a solid filler base. As in the previous case, for laying you will need to make a dimple of 10-15 cm, then you need to fill the base with sand and tamp it. After that, you can do pouring pavement or laying a special tile. It is impossible to create a beautiful and cozy the atmosphere in the area around the house, if it is not properly greened. If you are a busy person, and now there is a majority of such people, then it is better to plant trees on the site with beautiful perennials, bushes and trees that do not require much attention. First, think about what plants and where you will be planted. 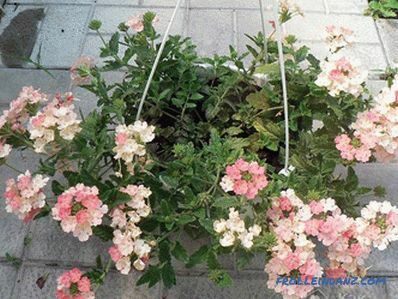 It is very important to take into account the height and pomp of the plants so that some plantings do not cover others. 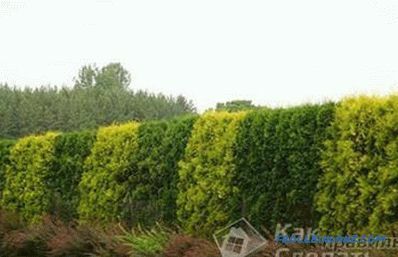 The outer gardening zone is most often an evergreen hedge . The intermediate zone has the purpose to improve a site, it is located near windows and in a rest zone. The inner zone is adjacent to the house. 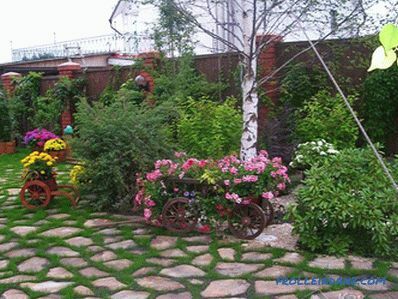 Flowers for rock garden So, if you want to create the most natural landscape, the green fence will be the most successful way. At the borders of the site you can plant in one row fruit trees or decorative. Conifers are especially popular, including fir, pine, cedar and juniper. If gardening is planned in two rows, then you can pick up shrubs that bloom beautifully, such as rose bushes, honeysuckle, currant, lilac and others. 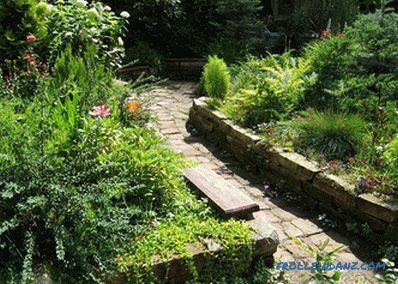 If the border of your site is overgrown with wild plants, then you can refine them. Trim the branches, give them shape. Plant near the cultivated plants that bloom. The internal zone of gardening allows fantasy to develop to unprecedented scales! 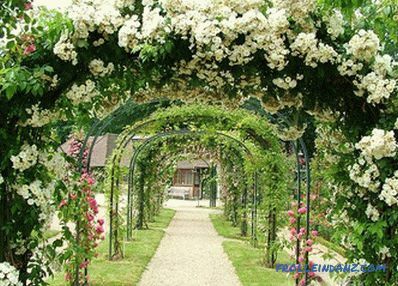 If you built a gazebo, the best decoration for it can be a climbing plant that blooms beautifully. Lianovidnymi cultures can successfully hide all the miscalculations of landscape design and unattractive outbuildings. Amphibian plants look very nice, falling down from wicker baskets or hanging pot. Among the ampelous flowers are especially popular: fuchsias, dichondra, fortunias, sufinis, pelargoniums. If you have an old car, a chair or a table or other unsuitable household items in the area, do not rush to throw them away. 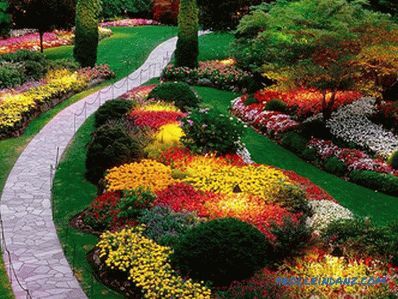 All of them can be beautiful flower beds. A little imagination and unsightly yard will turn into a real work of design ideas! It is most difficult to decorate an intermediate zone with green plants, as it is most often the largest. Plants that will be planted here require special attention, as they will always be visible. It is very important that a competent water supply system works on the territory of your site. If you succeed in this, your plantations will be beautiful during all periods of the year. Some people have minimal requirements for the landscape, and if this is the case in your case, organize a green lawn in the recreation area. To do this, sow the grass and water it in time and cut it. It takes the least amount of time, and this lawn looks very beautiful. 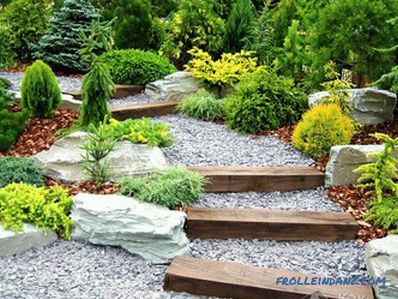 And if you combine a lawn with rockery or rock garden, it will become even more attractive. Sowing the lawn should be carried out at the very last. Landscaping the territory adjacent to the house should eventually create a unified landscape picture. Without a doubt, for this you need to make maximum efforts. Having picked up harmoniously combined plants, having thought over even small details of the landscape, you will be able to create a cozy, fragrant and saturated with fresh air oasis near the house. 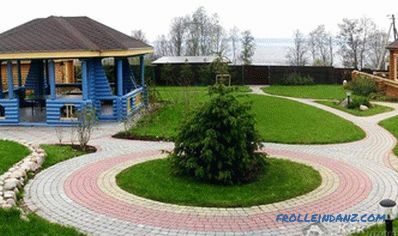 In the photos you can see the ideas of landscape design of the suburban area. 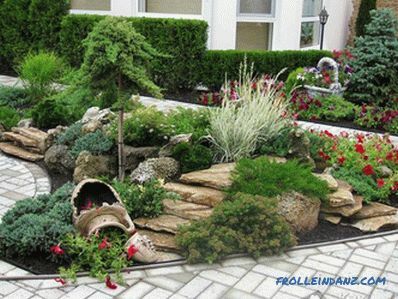 Landscaping includes landscaping, planting trees, alpine hills, and you may also need a turf.